Rei do Gado has the only Mesquite charcoal grill in San Diego with authentic Churrascaria serving San Diego since 1999. Dining at Rei do Gado, you will experience authentic Brazilian vibe with our premium meat selections, seafood bar, fresh salad & hot dishes, heavenly desserts, and our signature drinks. Churrascaria is a restaurant serving various cuts of meats, grilled in a skewer which originated in Southern Brazil for centuries. 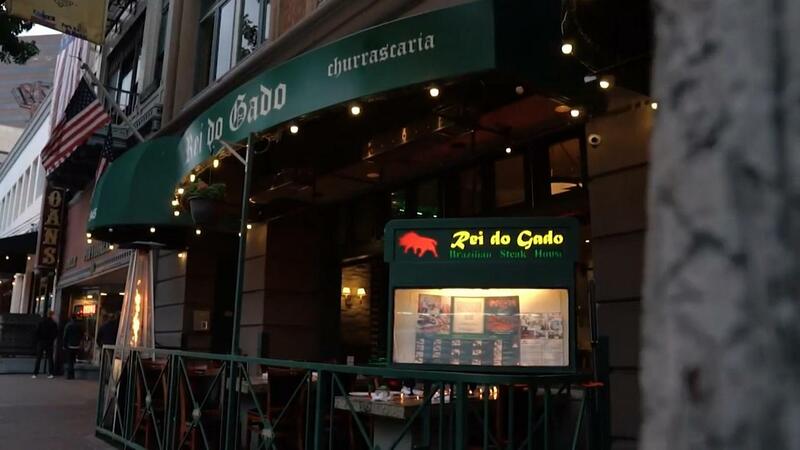 Book a party at Rei do Gado and Enjoy a trip to Brazil without leaving San Diego!